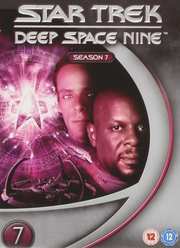 The third Star Trek series is led by Benjamin Sisko commander of the space station Deep Space Nine who discovers the first known stable wormhole a virtual shortcut through space that leads from the Alpha Quadrant to the Gamma Quadrant on the other side of the galaxy. The Gamma Quadrant is governed by the Dominion a group led by the Changelings - an group of shapeshifters which counts DS9 crew member Odo (Rene Auberjonois) among its numbers. The Dominion has become a violent force in the galaxy and Deep Space Nine and its crew has become the only home in upholding the way of life established by the Federation.